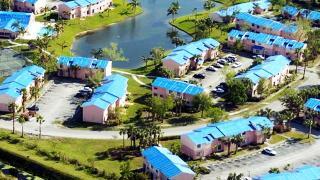 Lawsuits against property and casualty insurers with the largest market shares in Florida increased sharply in the first quarter of 2018 compared with the same period last year, and Hurricane Irma claims are to blame, insurers say. The top 20 property insurers in Florida, as ranked by policy count, were served with 10,933 suits between Jan. 1 and March 31. In the same quarter last year, those same insurers were sued 6,768 times. This year’s total was a 61.5 percent increase, according to a Sun Sentinel analysis of pending suits entered by attorneys into the Florida Department of Financial Services’ Legal Service of Process database. Increased costs to insurers from the suits won’t affect rates for hurricane insurance this year but could impact them next year, when insurers negotiate reinsurance contracts based in part on total losses from the September 2017 storm, the president of a large Florida-based insurer said. Fort Lauderdale-based Universal Property & Casualty Co., the state’s largest insurer, saw the largest increase both by overall numbers and percentage — from 1,095 suits in January through March 2017 to 2,829 during the same period this year — a 158.4 percent jump. Insurance companies send settlement checks to Hurricane Irma victims with string attached. Universal spokesman Travis Miller attributed the increase to Hurricane Irma, noting the company has received nearly 80,000 Irma claims overall, including many from Palm Beach, Broward and Miami-Dade counties. “In terms of the percentage increase for [Universal] compared to other insurers, we cannot speak to other insurers’ situations but an important consideration is that [Universal] has continued to serve the residents of South Florida by consistently writing policies in that area,” Miller said in an email statement. Universal has aggressively increased market share in South Florida over the past two years while numerous companies, citing losses from claims abuses and increased litigation, have redlined parts or all of the tricounty region. Suits against state-owned Citizens Property Insurance Corp., the second largest insurer, increased 32.5 percent — from 2,323 to 3,078 — between the first quarters of 2017 and 2018. Irma claims accounted for nearly 58 percent of all new lawsuits against Citizens filed between Jan. 1 and Feb. 28, the company reported at its Board of Governors meeting on April 11. Of the 1,266 Irma-related claims filed against Citizens in January and February, 59 percent challenged the company’s decisions about the scope of damages, asserting that the amount of money paid to restore homeowners to their pre-loss conditions was inadequate. About a quarter — 23 percent — of the suits against Citizens challenged the company’s determination that it owed the policyholder no money because the value of the loss did not reach the hurricane deductible. And 15 percent of the suits against Citizens challenged the company’s denial of responsibility for the claim. Statewide, Florida property owners filed 924,439 claims related to Hurricane Irma, with estimated insured losses of $8.6 billion, state records show. But 105,918 claims remained open on April 4. An analysis of lawsuits against Tampa-based Homeowners Choice Insurance and eight of its competitors, compiled by Homeowners Choice, showed that new Irma suits exceeded the number of new non-Irma suits in six of the nine companies in March. Company president Paresh Patel said a majority of suits against his company stem from disputes over roof damage. Some, he said, were likely generated by contractors or attorneys who canvass neighborhoods and urge homeowners to reopen Irma claims that had been closed. At Homeowners Choice, the increase in Irma suits corresponded with a decrease in suits related to “Assignment of Benefits,” an affidavit that gives contractors the power to invoice and sue insurers while standing in policyholders’ shoes, Patel noted. Citizens’ chief financial officer, Jennifer Montero, on April 11 acknowledged that the majority of lawsuits against Citizens has “shifted” to Hurricane Irma, but company spokesman Michael Peltier said it’s too early to know whether AOB suits would increase again after the Irma suits recede. Patel expects the number of Irma suits against his company to peak late in the second quarter or during the third quarter of the year, he said. If the increase in Irma suits affects rates for wind insurance the way AOB suits have driven up costs for all-perils coverage over the past two years, policyholders won’t feel it until the summer of 2019, Patel said. Higher costs from the lawsuits this year would be reflected in rates for reinsurance — which is insurance that insurance companies must buy to ensure they can pay claims after a catastrophe — by June 1 of next year, he said.